I have a cause—a mission. I have a dream that awakens me each day. That cause, that mission, that dream is worship renewal. What is that? Is that revival? Is it Reformation? My cause is a just cause, nothing less than righting the wrongs of sin separating people from the God who loves them. I can’t do that, of course, but Jesus can and does. My just cause is worship renewal. We were created to have fellowship with our Creator but sin blocks that relationship The Good News is that God’s love has been poured out and each of us, within the confines of our various traditions and doctrinal frameworks, can encounter the Lord Jesus when we come to Him in worship. Jesus wants to do a work among us as we worship Him. In Luke chapter four Jesus tells us what he wants to do when we worship Him. My cause is a just cause because Jesus has taken the justice our sins required and has offered us abundant life instead. Just as the fires in the temple had to be fueled again and again, our worship must be in a constant state of renewal. There in the Spirit beholding His face. Gaining new power to run in the race. O, I love to be shut in with God. All of these relationships are in jeopardy today as never before. In order to be faithful to my just cause, I must be faithful in my private worship. Some people pray for revival and I agree we should. Revivals have a beginning, a middle and an end. They are events to be experienced while they are happening and studied when they are over. They are often known for the place where they happened: The Kentucky Revival, the Welsh Revival, Azuza Street, Ashbury, Brownsville, and so on. Revivals tend to be personality-centered as the leaders of the meetings become associated with a particular move of the Spirit. It seems that people pray for revival and God sends revival but most of our time is spent waiting on the revival we are praying for to come. Sometimes leaders bring about reformation as whole groups reorganize around the move of the Spirit and restructure their organizations to match what God is doing and what they have seen in His Word. Reformation requires a position of great power or influence. Most of us don’t have such positions. We can only bring about reformation at the level of our leadership. 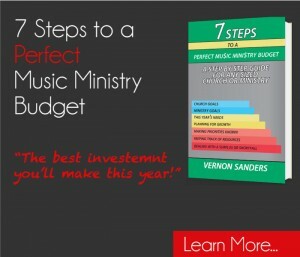 In other words, as a minister of music, I can reform the music ministry, but not the whole church. As a Christian college professor I can reform my classroom and teach the reformational truths I have developed but I can’t reform the college. Renewal is a different thing all together. It requires no position of authority, only one of willingness. 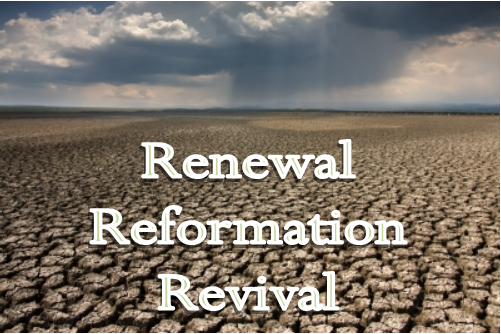 If revivals are events, renewal is a process. While renewal may have a definite starting point, it is perpetual, without midpoint or finale. It has proven to be impossible to live in a state of revival, but renewal is a lifestyle in itself. With renewal, each of us can decide in our hearts to renew something in our lives and just do it. We can resolve to pray more or to pray more effectively and fervently and just get busy doing it. We don’t have to wait on God to send renewal. What we must do is prioritize our obedience to what God has already commanded. We must shake off the unintended passivity of waiting on revival and replace it with a proactive passion to seek God’s face as we never have before. Every morning, we have the opportunity to renew our private worship in the Secret Place. Every rehearsal is a time of renewal as each singer and player re-consecrates his or her talents and skills to the Lord. Every Lord’s Day Service is a worship renewal experience for the congregation. I have a cause—worship renewal and to this end I dedicate my life and work. I want to encourage and enable faithful daily worship in the fullness of Apostolic Christianity. I long to see public worship flow from the deep healing springs of New Covenant life in Jesus through the Holy Spirit. Through this worship, Jesus tears down the walls of hostility between people groups. True Worship will move any culture or generation toward the Kingdom of God and, more importantly to the King Himself. I want to dwell among the called, the anointed. These are the people of God who have been touched by the choice of God and the power of the Holy Spirit. I want us to live and work together to advance the Kingdom in every shanty and chateau of the neighborhood and every shop and super-center in the market-place. I have a cause, a just cause—Worship Renewal—join me!